1. Cut a small piece of fishing line (about half an inch). 2. 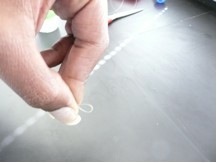 Bring the ends of the fishing line together to create a small loop. 3. 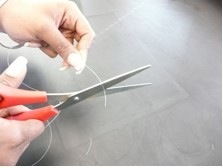 Put the ends into one hole of the capillary tube, ensuring that the fishing line is still in its loop conformation. 4. 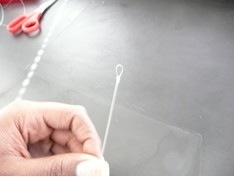 Once the small loop of fishing line is inside the capillary tube, pour super glue into and around the capillary tube opening to guarantee that the loop remains inside the tube. 1. Gently squeeze the bulb. 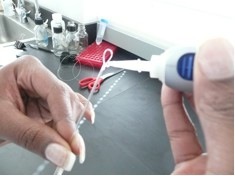 (Attach the rubber bulb to the glass pipette first). 2. 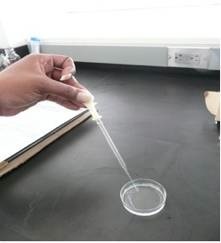 Slowly lower the pipette into the liquid, aiming to collect the specimen. 3. 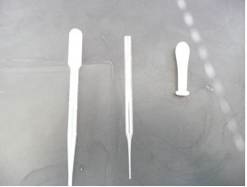 Gently raise the pipette, allowing a small amount of liquid to enter along with the specimen. 4. 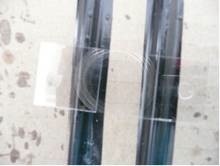 Transfer the specimen and liquid onto a slide or whatever else you will be using to make your observations. 1. 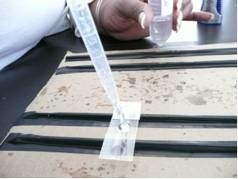 Place a clean cover slide onto an elevated surface. 2. 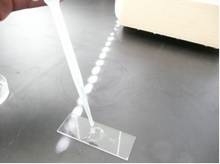 Place a couple of droplets of superglue onto the two sides of the cover slide. 4. 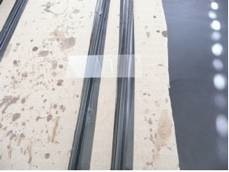 Allow the slide to dry. 5. 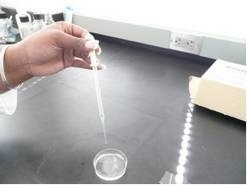 Pipette a droplet of glycerol in the middle of the slide. 7. Place the slide on a brass ring.